Welcome to day 1 of my Countdown To Christmas Cookie Recipes. 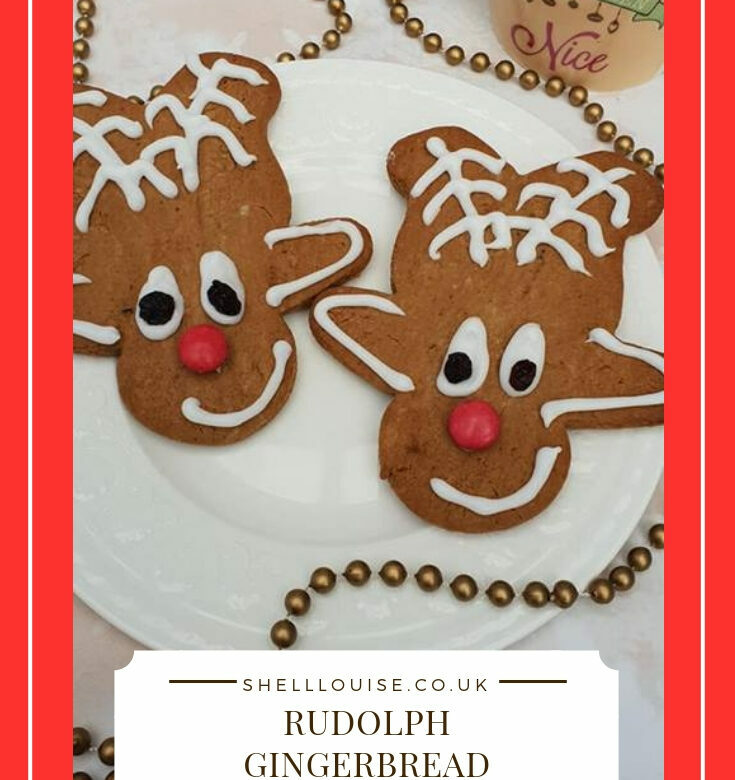 Today’s recipe is for Rudolph Gingerbread. Everyone loves gingerbread here. KayCee and Ella look forward to making a gingerbread house each at Christmas time, not only is it fun to do, it’s delicious! We all enjoyed eating these Rudolph gingerbread cookies. Tomorrow’s recipe is for Eggnog Cookies. Sift the flour, ginger and bicarbonate of soda together in a bowl. Add the butter and rub into the flour until the mixture resembles fine breadcrumbs, then stir in the brown sugar. In another bowl, beat together the egg and golden syrup with a fork. Pour this mixture into the flour mixture and mix to make a smooth dough, kneading lightly with your hands. Roll the dough out onto a lightly floured work surface to about 5mm thick and cut into shapes using a gingerbread man shaped cutter. Transfer the cookies to the prepared baking sheets. Bake in the preheated oven for 10 minutes until golden brown. Remove the cookies from the oven and allow to cool for 5 minutes before transferring, using a palette knife, to a wire rack to cool completely. One the cookies are cool, mix together the icing sugar and lemon juice until smooth and place into a piping bag fitted with a very small nozzle. Pipe Rudolph’s features onto each biscuit, using the icing. Use a red Smartie for the nose and either chocolate drops or raisins for the eyes Leave to set for a few hours.